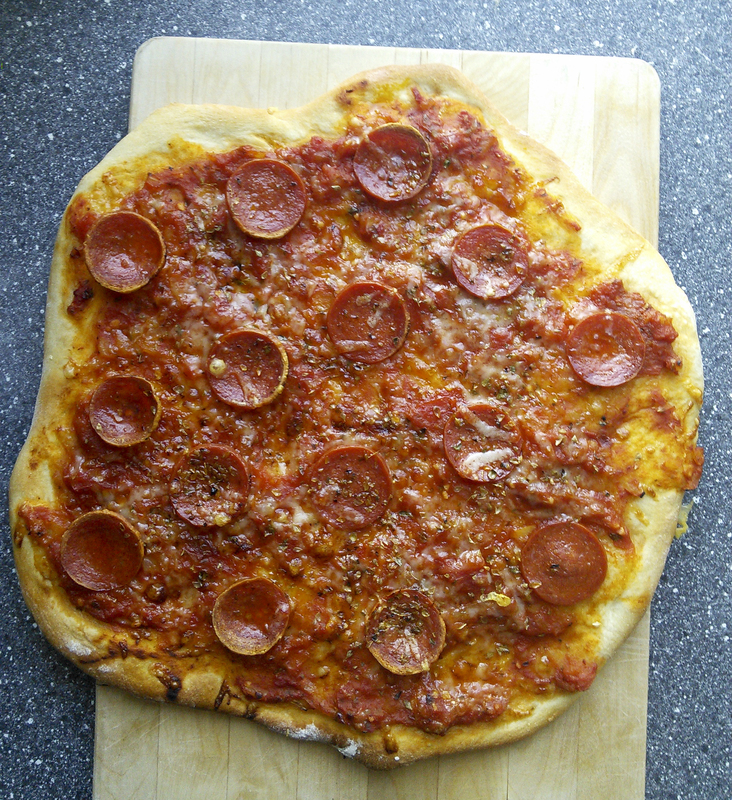 After trying a few of different recipes for dough for pizza I have settled on using one that I got from one of my friend. 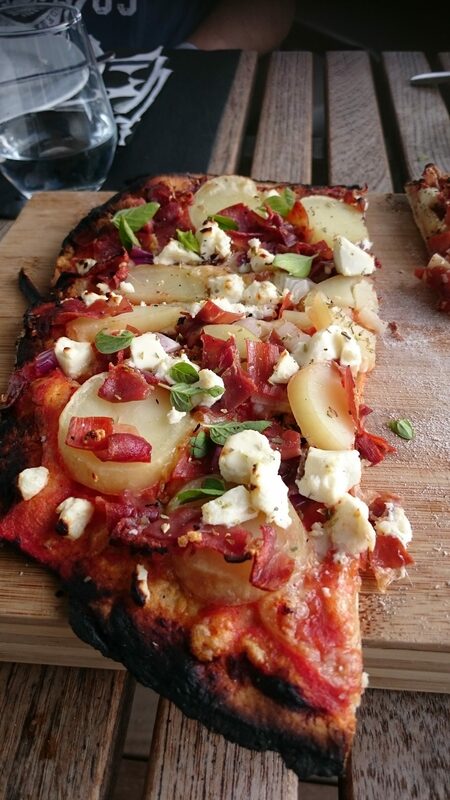 The edges crisp up, the bottom of the pizza is crispy rather than doughy and it taste good – and bonus the topping does not drop though the pizza! Now that is good pizza dough. 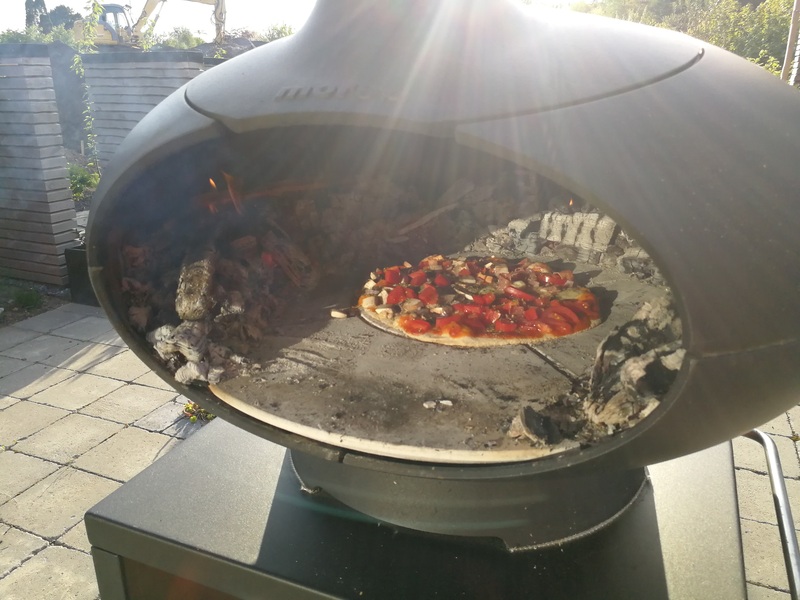 My dad brought himself a pizza oven two years ago and it makes the most beautiful fire baked pizzas. Stir the water and yeast together. Mix flour, sugar and salt together and stir it into the water. Knead the dough though for a few minutes. Cut the dough in two and sit it on the floured table with a moist tea towel over and let it rest for at least 1 hour. Or until it’s twice the size. 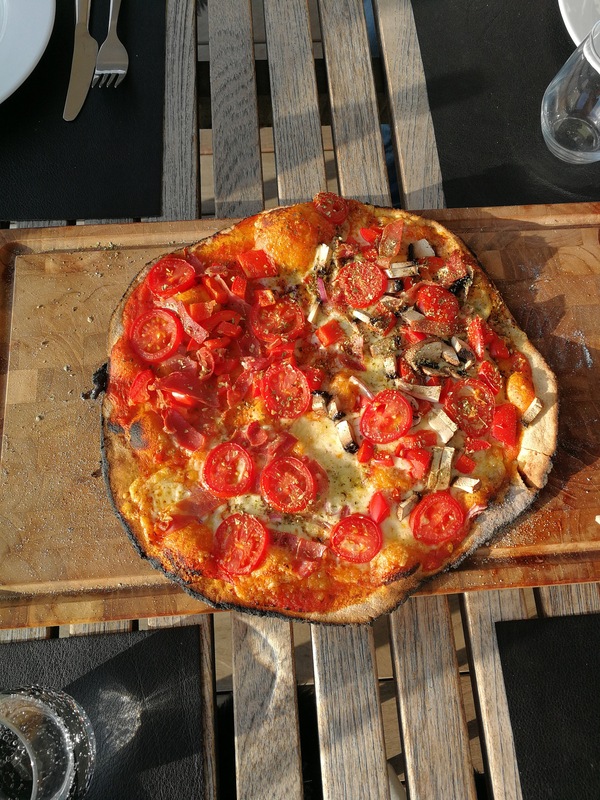 If you have a pizza stone turn on the oven after half an hour so it is scalding hot (250 C) once you are ready to bake the pizza. Knead it again and roll the dough out for the pizza crusts. 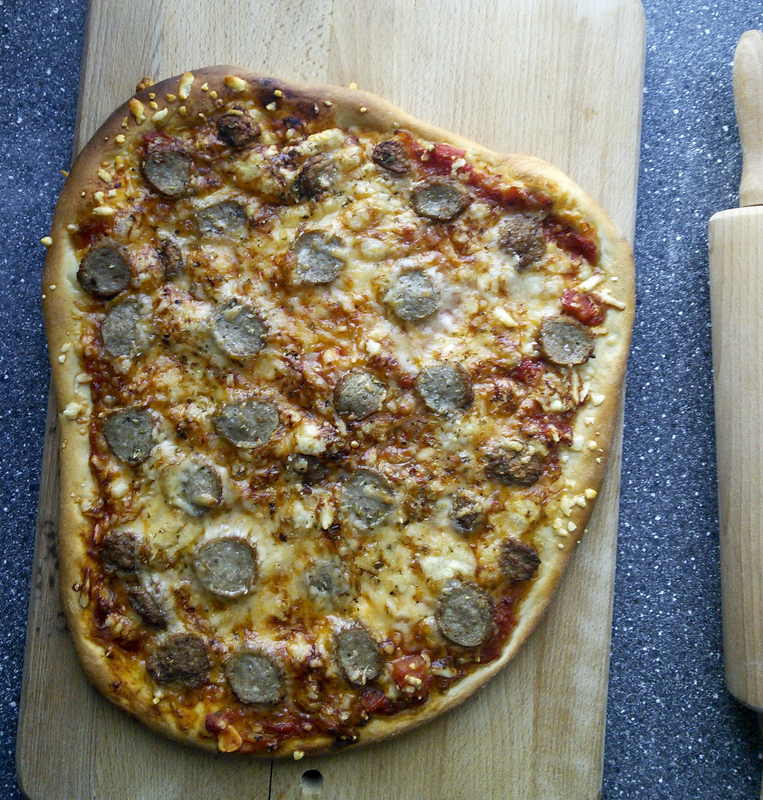 Add your toppings and bake one pizza at a time on the pizza stone. Bake it for 15-20 minutes until the edges starting to become golden and your cheese has melted and become lightly golden. Do not turn on the oven fan or the crust might go soft - you want the heat as dry as possible.